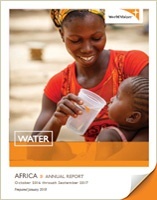 Studies have shown that over 30-50% of water points provided in the developing world fail between 2 and 5 years following implementation. 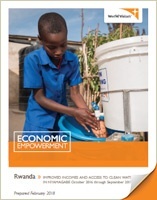 Many times these water points fail at the community level when the community based management scheme fails to properly operate and maintain the water, sanitation and hygiene (WASH) technology. 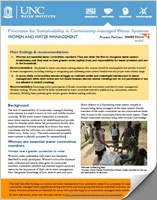 This often takes place because the development organization or agency prematurely withdrew before the community was properly equipped to manage the project. 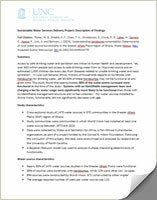 The community, in effect, was not successfully engaged by the development organization. 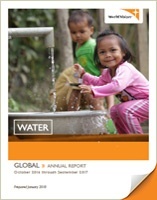 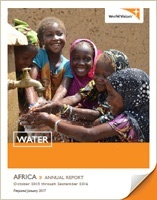 In contrast to the typical failure statistics associated with water points, World Vision’s water points have historically had a high rate of functionality (79% for wells in the Afram Plains) even if they are nearly two decades old (University of North Carolina and Water and Sanitation for Africa Study, 2014). 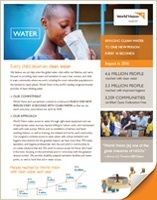 This high rate of success was determined to be because of the existence of a functioning water committee and charging a small fee for use of the water so that there was money available for repair of the well. 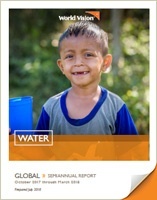 The establishment of a robust water committee that fully owns and understands how to repair the WASH technology is the crucial way in which World Vision development workers engage within the community. 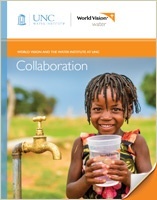 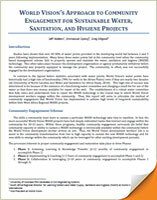 Thus, this report will serve to articulate the method of community engagement that World Vision has implemented to achieve high levels of long-term sustainability within their West Africa Regional WASH projects.